13 Nov 2018. Updated for V1.47(PC) - Get Famous Pre-Release Game Patch. This tuning Mod prevents the random fires that occur due to in-game activities. Intentional (safe) fires are unaffected. Residential Lots, Granite Falls Rental Lots and the Selvadorada Rental Lots are all made safe from damaging house fires. Many normal sim activities can cause a damaging fire to happen that can kill sims and burn down the Lot. Simple everyday activities like using incense burners or sitting round a campfire can result in fires that badly disrupt gameplay. Even having kids using the science table can cause fires. For some, the excitement and risk of a damaging fire is a fine addition to the game. I don't like this aspect of the game. Using this mod will totally prevent the random housefires from occurring. You can even light fireworks inside the house without causing a fire; they will explode and blacken your sim but there will be no housefire. Now you can do all the normal sort of stuff without the risk of a fire breaking out. Have a nice cosy fire in the fireplace without upgrading it, use incense burners to your hearts content, stop worrying about the tumble drier catching fire etc etc. Best of all, you can have a family get together round a camp fire near your rented tent without being disrupted by the furniture catching fire. 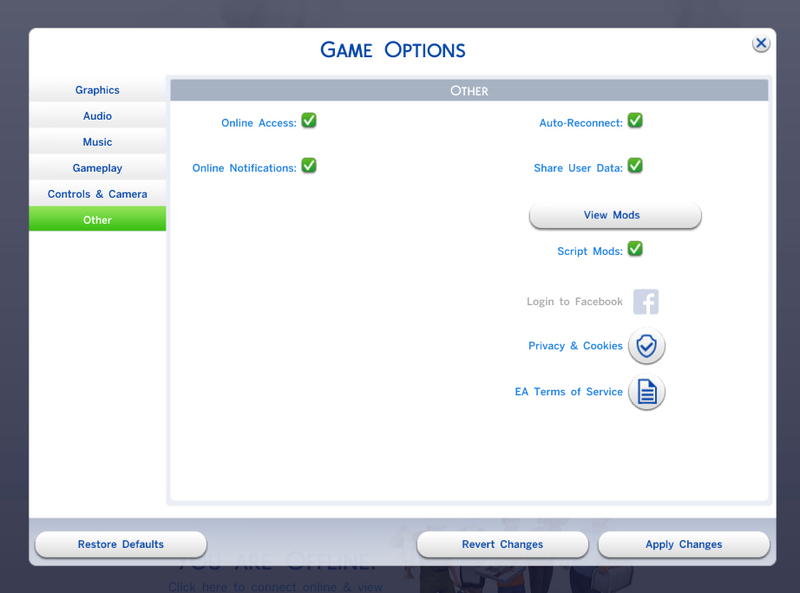 The Mod is compatible with game version V1.46. This is a list of xml files altered by the mod. Any other mod that alters the xml file will conflict with this mod. No DLC packs are required but, obviously, if you don't have Outdoor Retreat or Jungle Adventure then you won't get the worlds through this mod. The mod will still work though. Special thanks to the modder Coolspear who found this method for preventing house fires a long time ago. Coolspear has used the technique is some of his mods. There should be a switch for fires like there is for thunderstorms. SMH Thanks for making this much needed mod! Thank you i can finally keep my fireplace on without causing a fire. Thank you so much. It's so annoying to start up a family, and one gets killed by their grill! Thank-you SO SO SO SO SO MUCH!! I can have fireplaces again and have camp outs!! THANK-YOU!! Thank you! At last I can stop with putting alarms and sprinklers in every single room. Thank you so much! I was more terrified of the fires than the vampires! I'm with you! House fires are frustrating! Bad House Fire!! Thank you! thank you so much do u know how many sims died by fires in my game and always my singles ones. I cannot thank you enough. EVERY time my Sims try to use the only oven they can afford, it catches fire. EVERY TIME! You have saved my sanity! Thanks so much. I just lost the Delgato family parents to a freak fire caused by a science set I had gotten for their daughter. It was completely ridiculous. Bless you for this mod!!! Thank you for the mod. Every time my sim starts a fire the other sims come running in like "Hey! I want to freak out to!" The original coolspear's no fire mods use to go with no running mods so our sims always walk and never run. May I request to update this part of the mod ? Is there a modder who built a norunning mod ? This mod does not require updating for the latest patch v1.51.77.1020.